Traditional Sale, Cash. 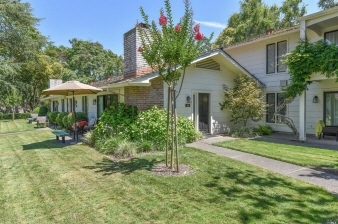 Single level, end unit condo in peaceful, private location at Silverado Country Club. Recently remodeled with high quality materials and designer flourishes. Sunny patio that opens to lawn and well manicured grounds. Strong short term rental income potential. Close to club amenities...swimming, tennis, golf, bocce, market, restaurants; and easy access to Napa Valley's famous wineries. Lifestyle Your Style!